Kara Sev is an Indian snack made with besan/chickpea flour. It is a crunchy,easy to make snack. 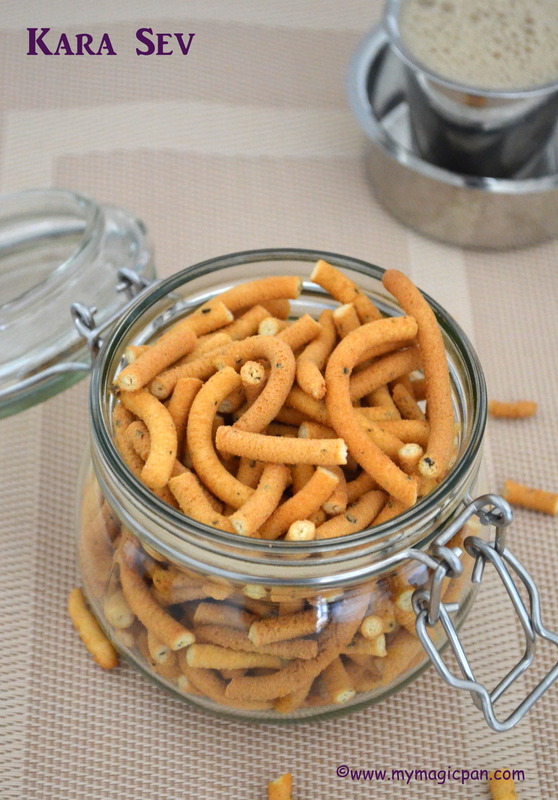 Perfect for special occasions like Diwali or even as a tea time snack. Usually it is made by pressing the dough on a perforated ladle directly into hot oil. I have used a murukku press for convenience. Do check my plain Sev/Om Podi recipe too. Savoury snacks are always a favourite at home. It just vanishes very soon. So do not have to wait for a special occasion to make it. Recipe with video.